o 晶片：FSB Frequency, Norhtbridge, Hub, Direct Media Interface, etc. o 記憶體：FPM, EDO, SDRAM, DDR SDRAM, DDR-II SDRAM, RDRAM, Timings, etc. o 快取記憶體：L1, L2, L3, Size, Frequency, etc. 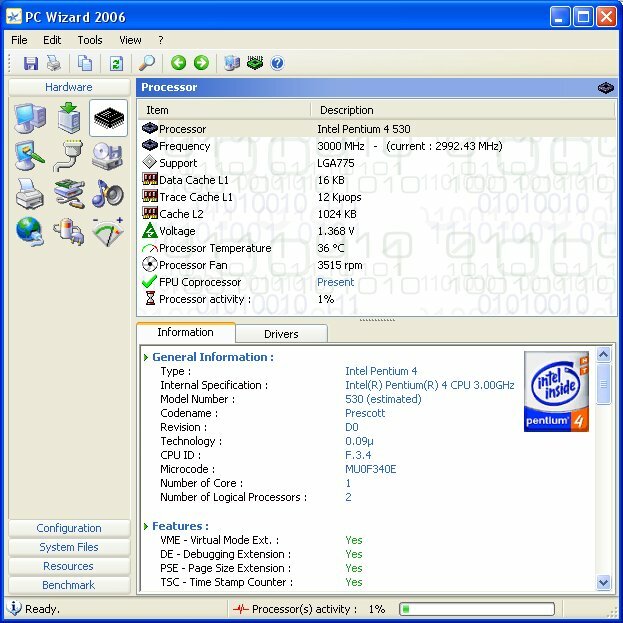 o CPU：Type, Speed, Multiplier coeff., Features, Model Number, Vanderpool Technology, etc.